John is always on the lookout for ways to upgrade his home and to save money. Energy efficiency is always a part of his strategy to save. It is my opinion that when shopping for home lighting, two things are prominent in the consumer's mind: what is the nature of the lighting and how much will it save in electricity? It is these two factors affecting your decision to purchase that I will attempt to explain in simple language. A halogen light bulb is more or less like an incandescent bulb. The one major difference in its construction is that a small amount of halogen gas is added inside the light bulb. An incandescent light bulb has argon gas in it. Some of the other gases that can be used in light bulbs are methyl bromide, methylene chloride, krypton or xenon, and mixtures of these. Methyl bromide is probably used in an ordinary 75 watt type halogen bulb. Krypton uses less energy and is cooler providing a brighter white light without yellow hues. Xenon is used in headlights and projector lamps. What makes halogen light special is the way that halogen gas prevents the buildup of soot on the inside of the bulb (the dark color in a used incandescent). Incandescents have filaments (the part that gets hot) made of tungsten. The longer they burn, the more tungsten soot is deposited on the inside of the bulb. In a halogen bulb, on the other hand, when the halogen gas gets hot, a chemical reaction causes the halogen to bring any tungsten soot back to the filament, thus causing the filament to be rejuvenated and slowing down the destruction of the filament. Thus, halogen bulbs last longer and are brighter from lack of soot. Light is more easily permitted to radiate out to more brightly illuminate space. The design of the halogen bulb has to be a bit different too. A greater heat is required to put the tungsten back in the filament. This higher temperature creates higher pressure so that halogen bulbs must be made of a special hard glass. But what most of us see as the main difference is brighter whiter light. Now for just a little bit more detail. A halogen light bulb is like a bulb within a bulb. A small bulb holding the filament also holds the halogen gas. Around this smaller bulb is another bulb (or shell) made of hard glass. In your ordinary incandescent light bulb, the tungsten filament is out amongst the argon gas it is pressured with and it is surrounded by only the shell. This shell does not have to be as hard as the halogen's. Having described the nature of the halogen light bulb, we should look at the pros and cons of halogen bulbs. Halogens are safer to handle (if they aren't hot) because of their stronger glass. The bright white light makes it easier on the eyes when reading. The halogen bulb as mentioned earlier lasts longer because the filament lasts longer. It can have twice the life of an incandescent and use the same amount or slightly less (10%) electricity. Halogen floodlight bulbs are good for illuminating objects that you want to be accented. I once used a small (Sylvania incandescent R14 spotlight) in a recessed shell in an oak cabinet to illuminate an Eskimo stone carving with a much better result than an incandescent. Halogen lights are dimmable (fluorescent light isn't). You can use a rheostat to dim the light. A rheostat is an adjustable resistance switch with a wire inside of varying thickness. As the contact at the end of the knob is turned, more light comes on when the wire gets thinner and less light comes on as the contact travels over thicker wire. The resistance in the wire - higher thickness for dimmer light, lower thickness for brighter light - allows for dimming. Halogen lights are very good for outside lighting. They are more energy efficient than incandescent lights and they are brighter. With greater durability, you do not have to change the bulbs as often. 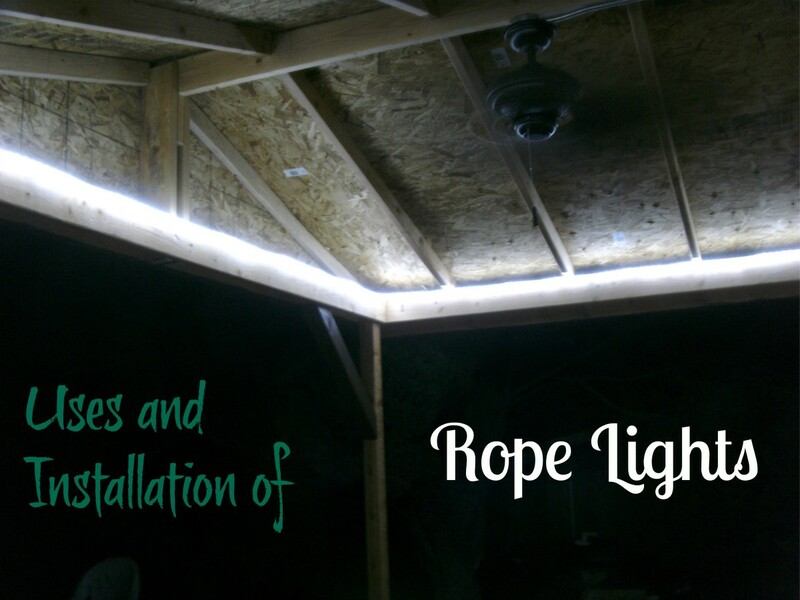 Other uses recommended by light shops are recessed lighting and track lighting. 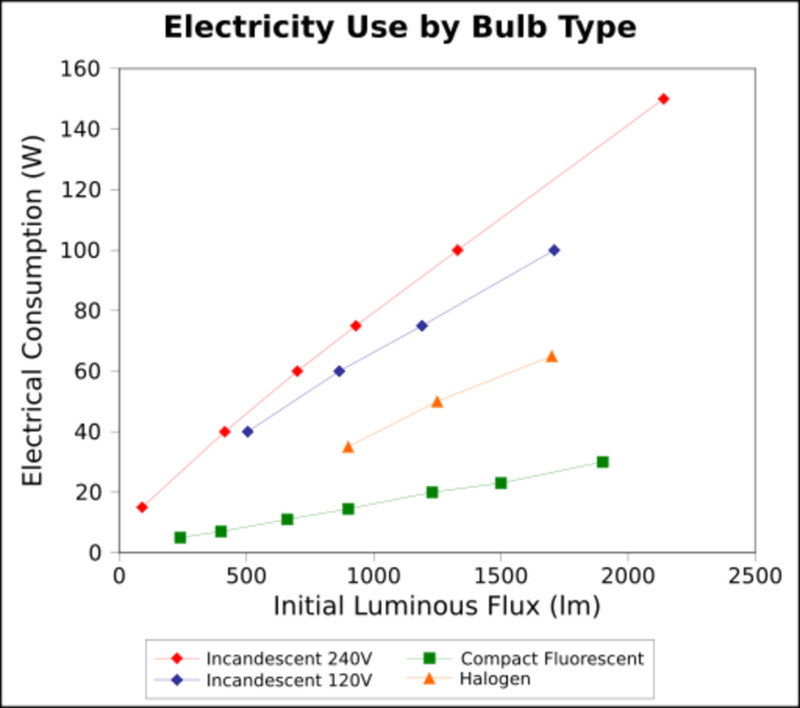 Halogen bulbs do not darken over time the way incandescent light bulbs do. 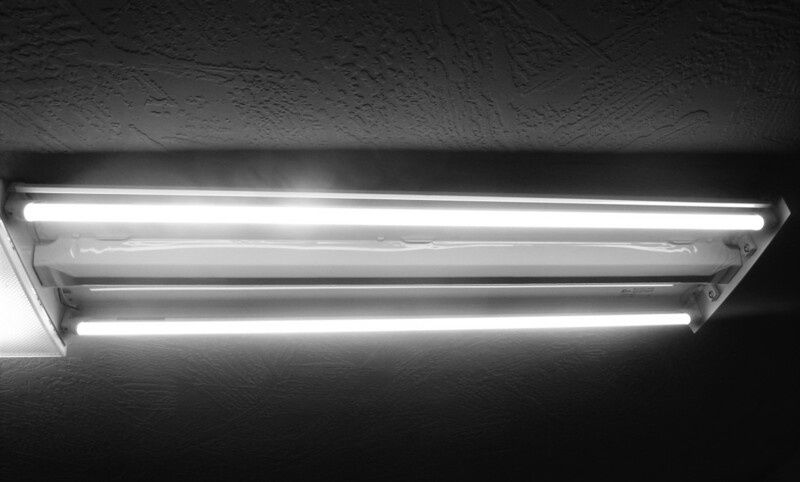 For an equivalent wattage, halogens are more compact in size than fluorescents or incandescents. A hotter halogen bulb can result in a fire. A little history of note. Halogen floor lamps became the rage in the 1990s with a version of the Torchiere Lamp resulting in a number of home fires. If people put them near curtains, and the curtains were thrown back over the lamp, or if something was placed on top of the lamp, it could ignite quickly. Personal note: At a home get-together in the 90's a small child threw a Teddy bear up in the air landing on the Torchiere light - it smoked furiously and then ignited. We got the lamp out of the house and smothered the bear, but the child was momentarily in shock! Today's halogen lamps have glass top shades and metal grids to help protect against this, but they still get very hot. Halogens have a strong glare unless focused properly or shaded; don't look straight at them. Halogen lights cost quite a bit more. 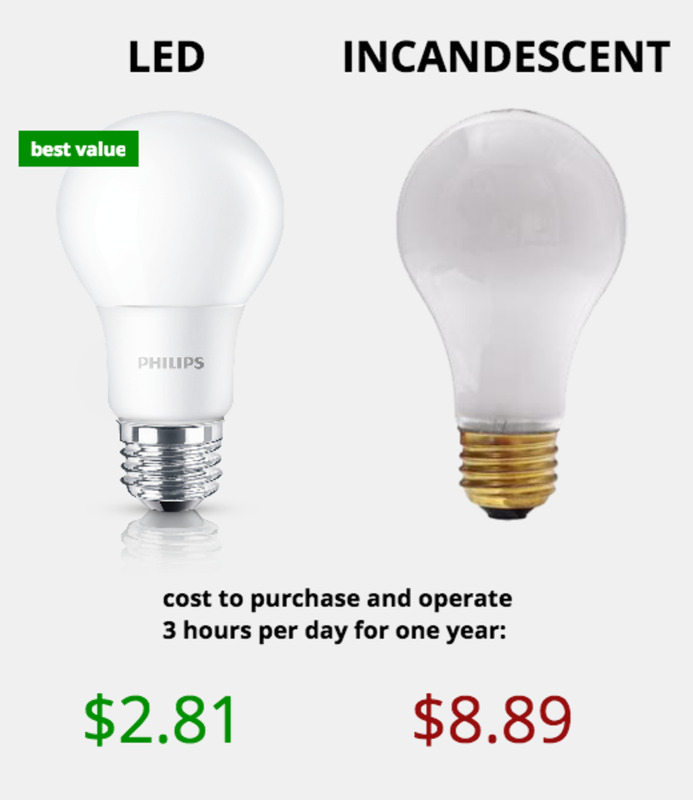 A 75 watt halogen on average produces 10% more light, but an average 75 watt incandescent light bulb runs 65 cents, while the average like wattage halogen runs $4. 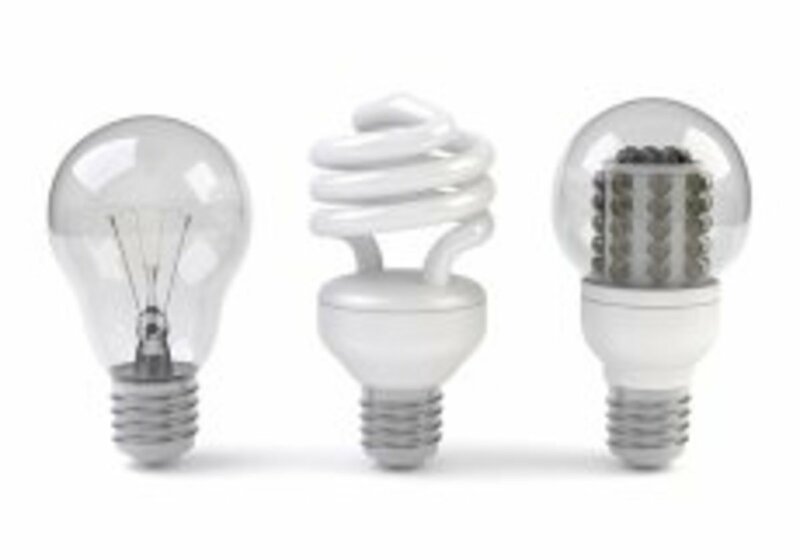 Halogens are now more expensive than CFL bulbs (compact fluorescent lamp), but less expensive than standard fluorescent bulbs. You need to cover your hands when changing a halogen bulb - your body oils and salt weaken the bulb under the heat and the bulbs will burn out prematurely. 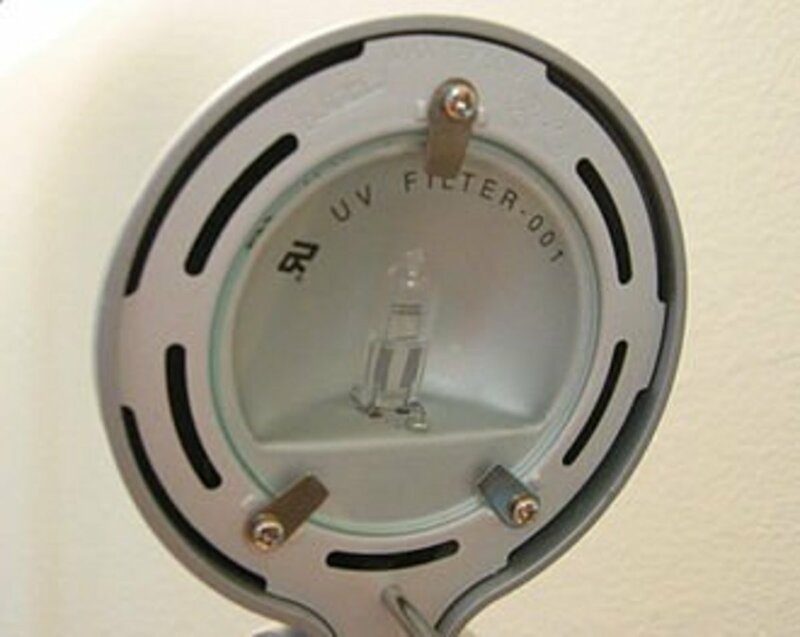 Surface contamination will damage the outer halogen bulb. These contaminants, most often human oil, create a hot spot on the surface when the halogen is turned on. When heated, the bulb becomes a weaker crystalline form and will then allow gas to leak. This will cause the filament to burn up. It is also possible that the weak spot will bubble out. At some point the bulb could explode. When I would change bulbs in a projector at school, the bulb's plastic envelope had instructions to use the plastic to hold the bulb. It also told the user another method - holding the bulb at the bottom where there was ceramic. If contaminated, I would clean the bulb with alcohol. Not doing so would result in burn out or possible explosion upon sending voltage through the bulb. So the bottom line is be careful in placement of halogen lights, while realizing that they are less expensive than standard fluorescent lighting, but more expensive than CFL twists and incandescent light bulbs. They are good for specific tasks (e.g. outdoor flood lighting, work light, etc.) 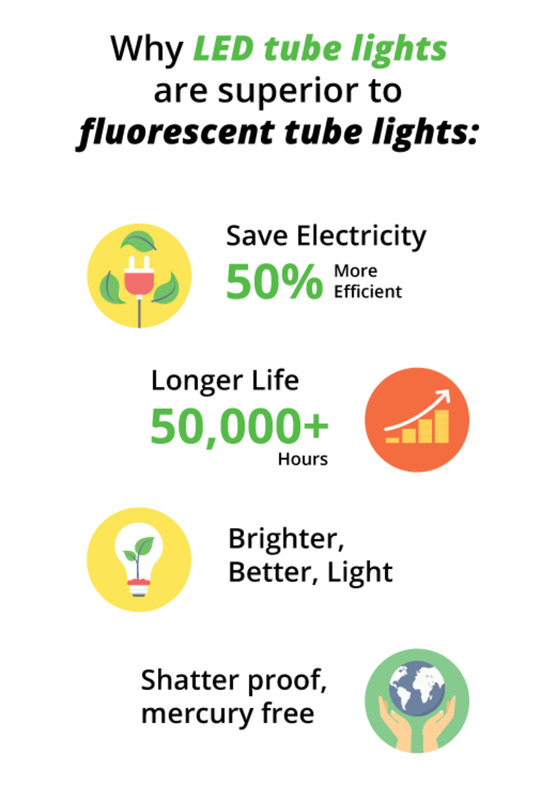 and can be considered "greener" than incandescent light bulbs. 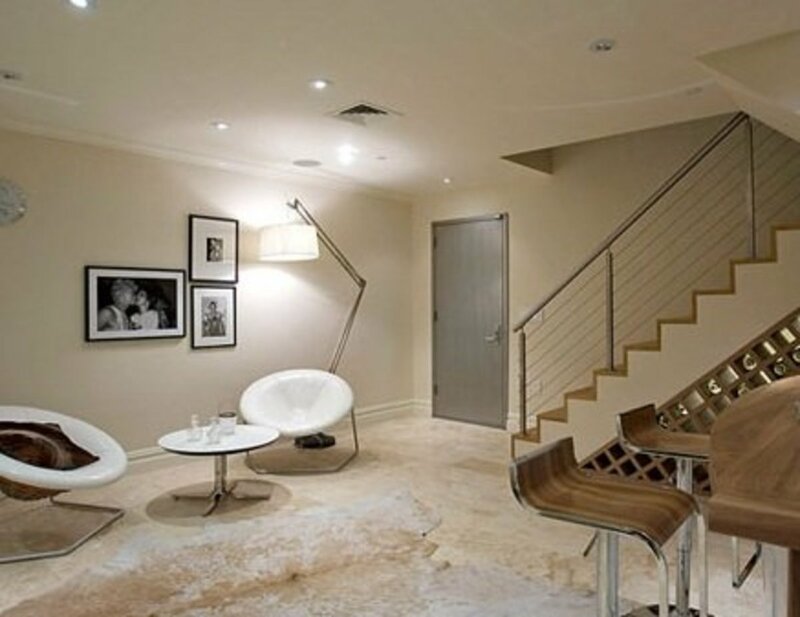 Enjoy the improvement of the quality of your home life by understanding the basics of lighting. What's your favorite type of lighting? Glad to shine a light on the subjects. :) Thanks for the comment. Such a helpful discussion on this topic. Thank you for sharing. LEDs have no filaments, no metal fatigue, no oxidation and no evaporation of electrical components. Why is an ELV lamp filament more robust than a 240 V lamp filament? This information you gave us about Incandescent Ligth bulbs and Halogen Ligth Bulbs.I use it in my investigation thanks a lot. LEDs efficiencies of 40 lm/w. Halogens are now about the same as LEDs. I thought expressing the results as a ratio would enable you to determine wattage from lumens or vice versa. Hope this helps. Thanks for the question. this is bhanu, i am working in electrical company, and i want small information from you, i want difference detween the LED & HALLOGEN & SODIUM & METALHALIDE LAMPS watts and lumens data. This is very useful and full of very important information, thanks a lot. This is another great hub from you. I never knew about Incandescent Light Bulbs and Halogen Light Bulbs. Good information. Thank you very much!